Space cooperation between Azerbaijan and Iran may be launched soon, Iranian Minister of Communications and Information Technology Mohammad Javad Azari Jahromi said, Report informed. "We are currently holding negotiations on Iran's use of satellites belonging to Azerbaijan. In addition, Iran has a satellite production technology. We can cooperate with Azerbaijan in this field. Our proposal is to make satellite with the scientific research of both countries," he said. Today, Azerbaijan is a member of space satellite club with three satellites, long-term space industry development programs, and infrastructure and strengthens its position in the global space industry. Azerkosmos Open Joint-Stock Company was established in May 2010. This is the first Caucasian satellite operator. According to the results of 2017, the company's revenue from commercial use amounted to $ 23 million. In January-June 2018, the satellite services were exported to 19 countries. Over the past five years, Azerbaijan has launched three satellites: Azerspace-1, Azersky and finally on 26 September Azerspace-2. The first satellite of Azerbaijan, Azerspace, was launched into space in 2013 from the Kuru cosmodrome in South America. Azerspace-2 satellite worth $ 190 million is expected to bring $ 400 million in revenue to the country's economy. National satellites offer high-quality services for telecommunications in Africa, the Middle East, Central Asia, Europe and the Caucasus region. The launch of satellites in space ensures the formation of a reliable information security system in Azerbaijan and, in general, boosts telecommunications system development, and further enhances the quality of internet, international telephone calls, television broadcasting and satellite services throughout the country. At the same time, satellite mapping, hydrometeorology, study of the Earth's surface, geodetic works will be possible at a high level. Azerbaijan joined the International Cosmic Air Initiative in 2005 and actively participates in conferences and seminars. In total 80 countries are involved in this initiative. In addition, Azerbaijan has established close relations with the US National Aeronautics and Space Agency (NASA) structures. The data obtained from the Shamakhi observatory were used by the NASA to explore the Sun. It should be noted that a joint venture between the Azerkosmos Open Joint-Stock Company and the National Center for Space Research of the French Republic signed a framework agreement on space cooperation in Paris on July 20, 2018. Meanwhile, Iran is among the world's top nine cosmic nations today. The Islamic Republic of Iran has already achieved complete turnover of space technology. 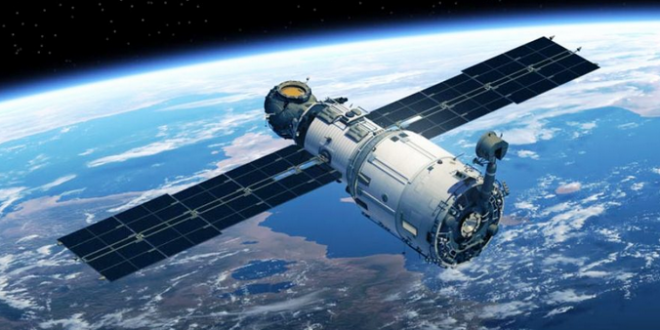 The full cycle of space technology is based on the use of artificial satellite, ground station, rocket launch system and artificial satellite channel. Iran's first satellite, Omid research satellite, was launched into orbit in 2009. The event was timed to coincide with the celebration of the 30th anniversary of the Islamic Revolution in Iran in early February. In 2010, Iran also sent its first bio-capsule containing living creatures into space, using the indigenous Kavoshgar-3 carrier. Announced recently, Iran intends to send its first cosmonaut to the open space in 2019. Cooperation in space between the two countries can make a great contribution to the development of scientific researches and telecommunications in the region as well as to develop space experience of both countries.